The perks of designing your own home are endless, and many homeowners particularly enjoy the challenge of maximising space in the kitchen and bathroom. 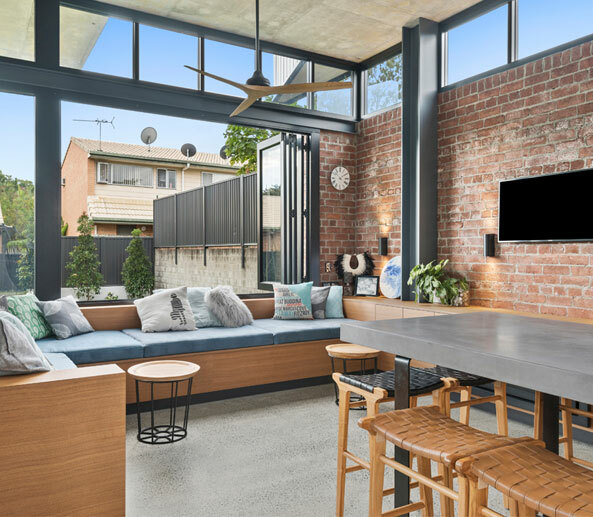 Whether your home is sprawling or small, by using conscious design and styling principles your interiors will feel warm and inviting when you move in, writes Jacinta Walsh. The kitchen and bathroom are essential parts of the home that serve a distinct purpose. Feeling at ease within these spaces is important as they should complement your lifestyle. However, limited or underused space can leave you feeling uneasy as you struggle to adjust to your surroundings, which may feel cramped or just in need of some tender love and care. The size of your kitchen or bathroom shouldn’t limit your enjoyment of the space. 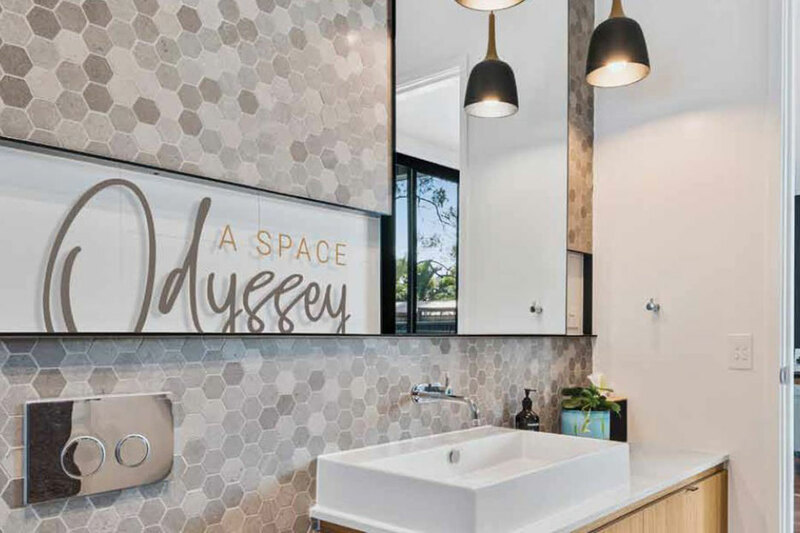 As Queensland Kitchen & Bathroom Design explores, there are many ways to enhance your home without altering its square footage by simply using some smart interior design tricks. It’s important to make the most of the space within your kitchen and a sure-fire way to do this is to install bespoke cabinetry. To ensure that the design appears seamless, opt for uniform cabinetry that doesn’t vary in length. Mount your upper cupboards as close to the ceiling as possible to accentuate the height of the room. Ample cabinetry installed below sink level will also provide additional storage space while balancing the design. Think of ways to customise your cabinetry to feature or hide appliances like your dishwasher, which can easily be concealed with a matching front panel. Open shelves can also add a personal touch to your kitchen by showcasing select décor and keepsakes, but remember to keep the styling minimal to avoid clutter. 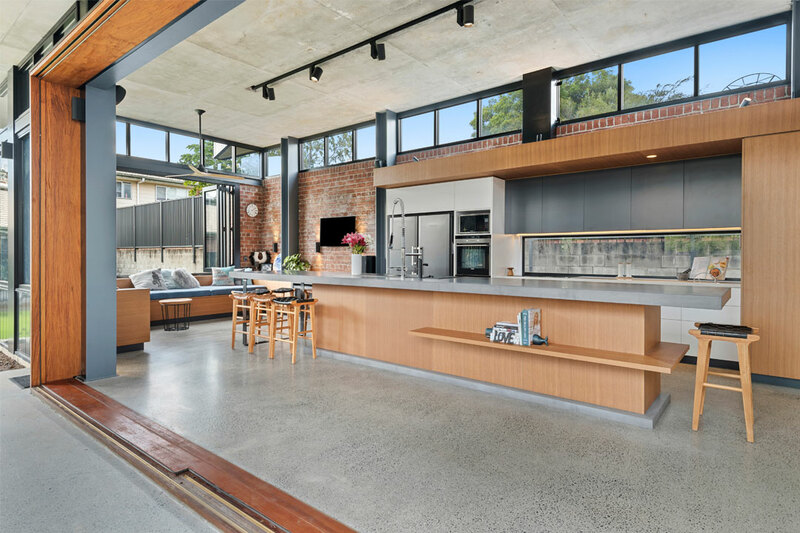 An island bench in the centre of the room is a great way to break up your kitchen. Think of the space in terms of how you will use it and assign different zones to specific areas. These usually include food storage and preparation, dish and glassware storage, and cooking areas around the stovetop, as well as a cleaning zone for the sink, dishwasher and rubbish bin. 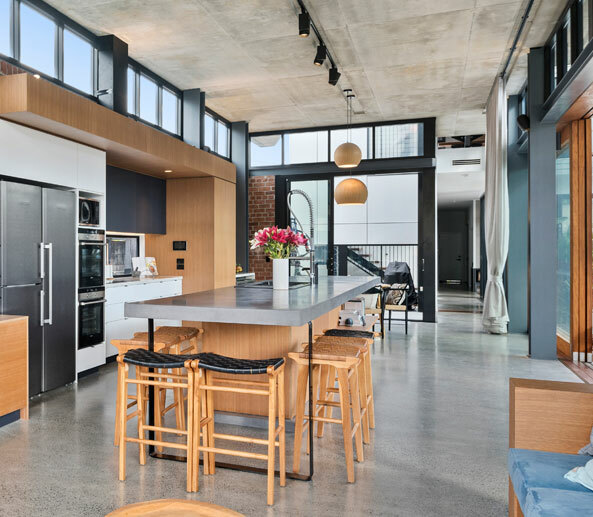 If the kitchen is going to be a communal space, consider placing stools along the island for a breakfast area, or to provide seating for guests while you’re cooking. A fireplace is also a great way to divide the space between your kitchen and living area, as it still allows for open-plan living while partially enclosing the kitchen and defining each zone. appealing, it can also look cold and uninhabited in a different context. Your kitchen is made to be used on a daily basis, so homely touches are important. Light colours tend to feel clinical in large areas, so add a pop of colour or darker tones to draw focus in the space. Navy cabinetry will remain popular in 2019, while wooden accents add a touch of warmth. However, try to avoid red wooden tones as they may date your kitchen. Not everyone has the luxury of a large kitchen, but there are some ways to make better use of the space that you do have. Stick to similar tones throughout your design for a cohesive and spacious finish; light and neutral palettes work best in small spaces. De-clutter the space by keeping only the essentials on display. Mirrors can also be used to make the room appear larger but remember that whatever features in the reflection must add depth to the room; a mirror splashback works well to extend the space by reflecting the room beyond or the kitchen itself. When designing your bathroom, consider how many people will be using the space. Keep functionality in mind; the bathroom is primarily used for bathing and preparing for the day, so installing practical products and fixtures will improve your quality of life. When you have a large room to work with, a double shower and vanity unit will optimise the amount of space that can be used simultaneously. A double vanity unit will also contribute additional storage for toiletries and linen. A sectional wall in front of the toilet area can be used to create separate zones within the bathroom and maintain privacy. A freestanding bath will add a sense of drama to a large bathroom and serve as an anchor point. A platform beneath the bath can further enhance its appearance, particularly if the platform features a contrasting material. Natural materials such as wood and stone will give your bathroom character and make the space more inviting. A well-designed bathroom includes layers of task, accent, ambient and decorative lighting. Under-cabinet lighting or illuminated mirrors are popular ways to produce both ambient and functional lighting for full-face illumination, which is perfect for makeup application and daily grooming. A skylight will allow natural light to flood your bathroom and give the space an airy quality. When it comes to styling a large bathroom, add elements of texture to make the space seem less clinical. Keep the tones similar throughout to add a luxurious feel, and style the space with feature towels to add a pattern or pop of colour. Wainscoting is also an interesting way to break up bare walls that otherwise may leave the space feeling unfinished. Try this in combination with a fresh colour to add a two-tone effect to your walls. A touch of greenery never goes amiss in a large space. Plants will not only give your bathroom a luscious look, but also improve the air quality; the warmth and high humidity of a bathroom provide the perfect conditions for many tropical plants. If your bathroom is on the small side, there are plenty ways to maximise the use of available space. Add more floorage by removing swinging doors; instead choose sliding options. Extend tiling to the ceiling as gaps can shorten the appearance of walls. Have some fun with the materials to add visual interest, but keep the palette tight to avoid clashing colours. Install a floating vanity unit to create negative space and trick the eye into believing the room is larger than it is. Frosted-glass showerscreens or dark curtains can shorten the space by sectioning parts of it off; instead opt for clear shower curtains or doors, which will lengthen the room instead of hiding areas away. Don’t let your existing or planned interiors overwhelm you; there are endless ways to make the best of what you have. You may only have to expand your mind to expand your home; think creatively, stay focussed on utilising your space well, and you can’t go wrong!